Are You Ready for a New Roadmap? You can check out the course at www.CourseCraft.net. Since I write about how to identify and pursue one’s passion and purpose, it’s seems appropriate to let you know when I am taking new steps in pursuit of my own dreams. I know that I have been fairly quiet recently, but all for a good cause. I’m so excited that my new course “Manifest Your Dreams: A Roadmap to Discover and Achieve Your Goals” is up and ready to launch. 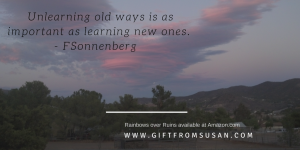 I’ve taken the ideas that I first wrote about in my book, “Rainbows Over Ruins,” and the “Survivor’s Guide: 12 Tips to Gain Inner Peace” and translated them into a course designed to help you change your life for the better. The new format enables you to do this for yourself in a self-paced program. “Manifest Your Dreams: A Roadmap to Discover and Achieve Your Goals” is an interactive course – complete with audio presentations, action guides, membership in a private online forum and scheduled group and private discussions. If you are ready to make a change, you’ll be making progress toward achieving that dream in your heart that you know is there, but you haven’t been able to put your finger on it yet. I spent several months writing the content and then, joined by supportive and like-minded friends, we recorded all the lessons. The resulting audio course is finished! And because Coffeytalk has been so supportive of my work, you are invited to sign up for the course at a very special rate. That’s right. As part of my introductory celebration, I have arranged a very special offer for you. Head on over and check out the details. If you like what you see, the course is available at: https://coursecraft.net/courses/z9RSY. Enter the promo code: 1Dream! and receive the special offer. How do you know if this course is for you? Take a look at your feelings. When you don’t pursue what’s in your heart, life can feel disappointing. You may find yourself asking “is this all there is?” You may feel stuck, without any idea of how to get unstuck. Without the right tools and techniques, you may feel as if you are moving through life rudderless, on an emotional roller coaster. Life can become a scary, frustrating experience. Traumas, disasters and negative life events can overwhelm you, leaving you feeling depressed and hopeless. But you don’t have to feel that way. You don’t have to feel isolated and alone, or listen to endless loops of negative head trash. You can begin to find out how to get past the circumstances that led to your feeling this way. What would it mean for you to finally get unstuck? Are there benefits to doing this? Absolutely. You’ll get what you need to realize what you want; flip your thinking and start to listen to your dreams; build supportive relationships and master mind. You’ll feel unstoppable as you see results emerge around you. You’ll bounce up in the morning ready to pursue your dreams, expressing your creative fullness and rebuilding your life after traumas and disaster. It will be my pleasure to be your guide, leading you along the way and helping you learn what you need to know. Very little brings me as much joy as helping people rediscover the dream in their heart, and then guiding them to achieve their goals. You can pursue your dreams and feel the joy of accomplishment. To find out how, check out the new course. P.S. Together, let’s help more people reach their dreams. Just like and share this information with your friends and audience. Thank you. A few years after the landslide destroyed our home, I was in a financial mess. Sure, we had moved into our new ranch and I was able to see that we had taken a series of actions that naturally led to the right results. I had also taken training for the opportunity to help others get back on their feet. During those courses, we learned the importance of the right mindset, but I personally had not realized the best way to attain it. One question kept nagging me: How can I teach others if I cannot consciously do it myself? I found myself desperately seeking solutions. It was a feeling of being physically stuck. During one of those down moments, while sharing with a friend, I asked ‘what if I could hear voices that would tell me the answers?’ At the time, I didn’t know to find solutions in positive questions like why and what if. But I was about to find out. An amazing thing happened. Two hours later, while listening to an online audio program, I heard Noah St. John talk about the power of Afformations and I learned that they are positive Why questions that activate the subconscious mind to utilize one of its very powerful roles as a universal search engine. As you ask, you receive solutions that help you face crises, improve your life, and achieve your goals. In many ways, that’s a scientific description of what many people call prayer. In prayer, you ask a power greater than yourself for guidance and assistance either for yourself or for others. 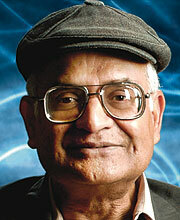 In quantum physics, scientists like Amit Goswami have become aware of a field that is not past, present or future. It is what remains when time and space are removed from the equation. In that remnant we find a power greater than ourselves in quantum consciousness, power and creativity. And we can gain access to that creative power when we center and tune into our subconscious (or nonconscious) mind through prayer, meditation or even asking questions. Ask a positive question and positive answers return to you. You find your solutions in positive questions. • See what you want and focus on it; concentrate on what is needed to achieve it; ask positive questions; then let it go. • Finally, the thinker turns that insight into positive actions. We do not know how or when we will get a response. It can take some time—or happen in the blink of an eye. The key is to hold your focus on what you want and keep asking those positive questions until you get an answer that reveals a solution. Ask and it is given. You will find your solutions in positive questions. Be open to receive from unexpected places. You can do it. If you are enjoying tips like these, “Your Survivor’s Guide: 12 Tips to Gain Inner Peace” for free at www.GiftFromSusan.com. Better Routine Habits Help You Survive! Why are better routine habits important as you survive a major disaster? Because our routine habits are destroyed when we go through a major life event. Nothing is where it is supposed to be. Nothing operates as it does in our daily lives. It can be very disorienting. As I describe in my book Rainbows Over Ruins, Peter and I found shelter with friends from church. I slept on a sofa the first night. After that, we had a spare room that would be our home for 6 weeks while we found a place to rent. Everyone in the house had to adjust to strangers in their midst. The animals found their daily routine habits were disrupted too. We had to find new ways to care for our animals. Friends stepped in again to house the bird and the cat. We found a kennel for one of the dogs. Our vet took another. And I began daily visitations throughout town. Instead of the daily routine habit of getting ready to head for work, there were other issues that needed my attention. I was on the phone continuously looking for solutions to problems. We worked endlessly, rescuing whatever we could, finding storage space, learning what we needed to do and searching for sources of aid. Point of the story? After a catastrophe, routine habits are destroyed. One of our first instincts is to re-establish them as quickly as possible. Routine provides us structure and a sense of normalcy. It also helps stave off depression. Simple tasks buffer stress and lessen the impact of a disaster. * Get 7-9 hours of sleep daily. * Eat good meals and treat yourself as an honored guest. * Get exercise and stay active. * Breathe deeply and relax. * Watch or do something funny every day. * Talk to a friend you can confide in. * Help other people. It also helps you feel better. * Start to say thank you for everything. * Include inner activities as part of your daily routine too. Surround yourself in beauty, pray or meditate. These open the door to inner work that will sustain you. Disrupting your previous routines also gives you an opportunity. As you rebuild them, don’t just fall back into old habits that no longer serve you. It is very hard to move forward when you are battling preexisting problems. This is a good time to create better habits. Our routines which are consistent, daily actions become habits. They kick in what Napoleon Hill called the power of “cosmic habitforce” to increase our belief level that we can heal and rebuild our lives. Cosmic habitforce depends on outer work in order to access the inner work that triggers the actions that get results. What is this inner work that gives us the ability to rebuild our lives and uncover new possibilities? We learn to stop dwelling on the negatives, the excuses and the pain that we tell ourselves (and others). We start telling the story that moves us in a positive direction instead. This change provides the impetus to carry us forward. If you’d like more help with surviving a negative life event, please check out my gift to you or listen to my podcast. If you want to survive well, start building better routine habits right away or as soon as possible. I know you can do it. No one likes going through personal disasters of any kind. We don’t feel as if we will survive. We feel as if we have no control over our world. We may feel as if we are under an avalanche of problems in all areas of our lives. We feel powerless. After coming through our landslide, we could have chosen to live as victims of fate, bemoaning our circumstances and living in constant fear, however, we consciously chose to follow a different path and that has made all the difference. Along the way, I acquired a few tips to help us survive, live better lives and experience more joy and well-being every day. First, realize that you are not powerless because you have one significant power – the power of your mind. You are used to using the conscious part where thoughts flow continually. But are you overlooking your non-conscious aspect of mind that provides access to resources and solutions in ways you might never have considered? As you learn about both aspects of mind, you will find it helpful to overcome negative life events and experience joy, well-being and inner peace once again. Start right where you are: Keep the main thing the main thing. Immediately after a disaster, we have to survive. We have to focus on physical safety and taking care of ourselves. Are we okay? Any life threatening situations. Is anyone in immediate danger? Get them to safety. Is there a medical emergency? Check the ABCs of medical care – air (breathing), bleeding and consciousness. Take care of what you can and call for help. 911, friends, family, your faith institution, and your community – all become a lifeline to survival. And it’s a good time to pray. Not only does prayer helps to sustain you, it also opens a link to the non-conscious mind that is a source of inspiration, resources and solutions that you will need. The financial and legal aspects took 18 months to resolve and could have taken longer. During that time, we were advised to find a house to rent and go on with our lives. We were emotionally distressed. The time spent moving our belongings led to injuries and medical care. Forget about dreaming. We had to face each next step in that process and deal with it on a daily basis. Slowly, once we knew we would survive the worst, even the elements of disaster took on a sort of normalcy and began to open up new possibilities. That’s when we began to dream forward again toward what we wanted for a permanent home. We’d take Sunday drives to look for a place that would serve us even better than our previous home. Starting on page 25 of “Rainbows Over Ruins,” I take you through the process that led to the ranch we call home today. Over time, step by step, you will find the path to rebuild and may even make choices to create a new version of You. We are changed by trauma and it takes time to discover exactly how that will seek expression. Although you may not see it now, once you have healed, you may find this to be a very special time in which new opportunities are revealed and you gain access to your personal dreams in a new way. Give yourself permission to heal. Allow yourself to mourn what has been lost. Trauma reaches into the physical, emotional, mental and spiritual dimensions of our lives. Get back to basics. Breathe deeply. Survive. Deal with the emergencies. Focus on the next presented things as they are revealed. First, we stabilize as we begin to restore our lives. Be open to changes that begin to seek expression. Keep notes. Allow yourself to be blessed by disaster. If you would like to read more tips, the full Survivor’s Guide is available at www.GiftFromSusan.com. Remember, you have to do it on your own, but you do not have to do it alone. Please let me know if I can help you! I believe in you. August is traditionally called the dog days of summer. It’s hot in the northern hemisphere. It’s a time when we would prefer to be sitting by the sea, a warm sun bathing us as a cool breeze softens the extremes of heat. We’d like to be lazy, take our vacation and go play with our loved ones. It feels good to be able to disconnect from the rat race and just enjoy our lives. Much of my life, I was not comfortable taking such a vacation. As a freelance employee in the entertainment industry, we worked on a different schedule. We worked extremely long days when we had work, saving as much as possible for leaner times. When a project was completed, we immediately set to work to secure a new position to pay the bills. Since we did not know when the next gig would arrive, we were extremely frugal with our money and certainly did not include a vacation trip in the plans. It was only when we knew we had work when we returned that we allowed ourselves to entertain the possibility of an honest vacation. This year I am in that enviable position. I am taking time off. I will spend some of the time visiting my daughter’s family in Seattle. It sounds as if we will take a side trip to Vancouver, a city I have never visited. The other portion of my break from television production will be dedicated to setting up the launch of a course I have been developing since I wrote my book Rainbows Over Ruins. ROR is a spiritual journey I underwent after a landslide destroyed my home of close to 20 years. It is a personal journey. People have spoken well of that story, yet when I went to turn it into a course for others to utilize, I had to reverse my thought process. Bill Ganz, a marketing guru, was the first to notice that all of my vision boards reflected what I needed to do, rather than what my readers and students would value in the experience. He suggested I redo my vision board to capture what my students would want. That required a major shift in the way I approached the material. It took a couple months to find the visual image that would help me redesign my vision board and my work. From there, the board guided me in the preparation of my podcast series “Rebuilding Your Life: Moving from Disaster to Prosperity.” That series takes you from the experience of a disaster through the steps you need to take before you are ready to move forward, out of the experience of being a victim to that of someone who is ready to manifest their dream. So what is your Big Why? Have you identified a vision of what you want to accomplish? Experience? Have? And do you know why? When you know the answers to those questions, you will be in a position to focus and persist toward the attainment of your most important goals. It’s a fantastic place to be. I encourage you to figure that out. Until then, you may find yourself working to help others achieve their goals. There is nothing wrong with that and it can provide the income you require in order to pursue your greater dreams. However, once you are pursuing your own vision, you open the door to experience something even greater. Joy. May you get a strong sense of your dream and be inspired to pursue it. Have you ever played the Prosperity Game? I play it periodically when I am feeling out of sorts financially or feeling the urge to grow. And this morning I was inspired to look at it from a new direction. Basically, the game is played by picking an amount of virtual money to spend each day. You can spend it on yourself, on your business or anything else you choose. I started with a penny which was challenging because very little costs a penny these days. Once you pick a starting amount, it doubles every day – and you have to spend all the money each day. What I quickly found the first time I played is that the virtual amount you can spend on “things” you need and want personally is quickly satisfied. So perhaps you create a business and grow it with the virtual resources you have at your fingertips. At another point, you may find that you want to contribute to the well-being of others. Once you have received everything you desire, where can you spend it? More businesses, more contributing and you may find you experience joy in helping others. This morning, the question I am pondering is: How much do you have to have before you are comfortable giving to others? If you knew that you receive money (income) in direct proportion to the value or service you give others, but felt that you could not continue to provide that service if you did not have the financial wherewithal to do so, what would happen? What would you do? Eker suggests that you get comfortable with charging for your services and satisfy your spiritual side by contributing to others in some way. Find a way to balance your income. He tells a wonderful story of someone who charged for services 4 days per week, and donated those same services 2 days per week to those who could not afford to pay for what they desperately needed. And so the question: At what point are you comfortable giving to others? Or vice versa, at what point are you uncomfortable giving to others? Would you be willing to play a version of the prosperity game designed to expand your comfort zone when considering when you can give? This time we will start with a penny, a real penny. I’d like you to donate a penny to someone or something today. Toss a penny into the tip cup on someone’s counter. Feel okay? If not, do it again tomorrow. Is it harming you in any way? Get comfortable with giving a penny. As soon as you are comfortable, double it. Put in 2 pennies and keep doubling the amount you give as long as you feel comfortable spending real money in this way. You can change the beneficiary at any time you wish. And when the amount starts to have a real impact on your finances, you can switch to donating time, services or stuff. And when even that amount no longer feels possible, organize a way to raise the next level of resources for someone, perhaps a crowdfunder platform. As soon as you reach it, double the giving goal once again. Keep donating to the causes that call to you, the ones that give you joy in the giving and the ones that make you feel the way you want to feel when you have enough to pursue your dreams and live the lifestyle you desire. It is said that when you appreciate your life now, more of what you appreciate comes to you. Your dreams take off. Your goal to be of service and make a real difference in the world can be fulfilled. May your giving be your way of showing appreciation for all that blesses you and may even more blessings follow. Try it and let me know what you experience. Serendipity is a faculty of making desirable but unsought-for discoveries by accident. When the faculty is operating smoothly in your life, out-of-the-blue, Aha moments and God-shots pop into your life. I got so excited this week that I have to tell you! I am in the middle of the flow of serendipity. Serendipity ties into an aspect of my personal life philosophy in that sometimes we have to release how we relentlessly drive our actions in order to keep our pure vision in sight. We have to release control in order to trust that the universe will resonate with our dream and make it a reality without having to bang our head against the wall. As New Years came, I was making a point to visualize and resonate with my intention and then let go of the compulsion to control the outcome. So what happened? 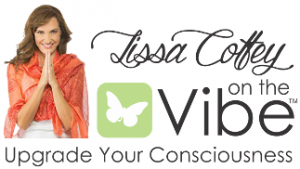 I took some time to listen to and enjoy Lisa Nichols’ Creative Visualization tapes. They transport me to a lovely space. The next day, I awoke to learn that Hay House, the inspirational publishing company, chose my book “Rainbows Over Ruins” for inclusion in their Hay House Online Catalog. To be noticed by them is really huge to me and I am thrilled. Even better, their choice was entirely outside my conscious quest to be included. That’s the beauty of trust. That’s serendipity. And if that wasn’t enough, the next day I met Lisa Nichols herself – and her son Jalani – on the show. What a lovely, energetic woman she is! She spoke to our Home & Family audience about how to talk with teens and her teen foundation. 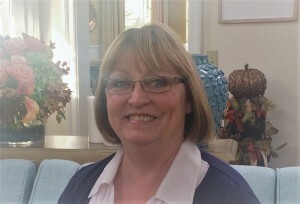 Lisa has just published a new book, Abundance Now, so her life is filled with events to promote it. And in the spirit of abundance and gratitude, Lisa is making these events free of charge. She told me about it while talking backstage – and sharing a “high 5” over Hay House featuring my book. And I will have the opportunity to attend. Can you see how the energy flowed without any conscious intrusion on my part? That is the marvel that can happen when we are aligned with Source. That is the “miracle” of developing your faculty of serendipity. Needless to say, I’m celebrating. 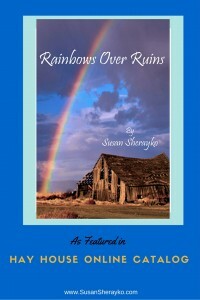 Thanks to Hay House, you may now find “Rainbows Over Ruins” online at Hay House Online Catalog, Amazon.com and Balboa Press. Here’s a thought for today — Whatever your dreams, remember: Feel the essence of what you are creating now – not in the distant future. You want to hold the feeling with the vision and trust the process. Over time, you will experience the amazing effect of serendipity as your subconscious mind brings you unexpected experiences. What’s the Key to Maximize Personal Productivity? My focus has been on the topic of Productivity lately as I’ve been asked to participate as a guest speaker for D’vorah Lansky’s Master Class on Productivity coming up in November. D’vorah focuses on providing training to help her author community reach more readers. You are, of course, welcome to attend. The upcoming webinar – 5 Productivity Secrets for Savvy Authors – will kick off a series of additional discussions on productivity. Here is a link if you are interested in learning more about it: http://goo.gl/4otZsu. Recently I enjoyed a lovely lunch with Phaedra Purdue, the representative from one of my vendors on Home and Family. We did not know each other well, but I had invited Phaedra to read my Survivor’s Guide: 12 Tips to Gain Inner Peace. As it turned out, Phaedra is aligned with this work and our lunch was nothing, if not provocative. Phaedra’s background is such that women in her community were treated as important members of any community decisions. They were respected for their connection to consciousness and long term insights into future events. Phaedra had been a contributor to a book that emerged from a Google conference on Innovative Women. Our conversation quickly turned on the topic of quantum mechanics and quantum consciousness. I enjoy having this type of discussion. I have long felt the connection to Source Energy which has been underscored by the descriptions of a vast ocean of consciousness in which we float. We are not separate from it. It is in all places. However, even though such a connection is always possible, many people do not know how to access quantum consciousness because their ego, conscious mind and activities block the messages if they believe they are separate from it. If we are to access the fields of infinite possibility in order to manifest our dreams, we will want to reduce the impact of our ego in order to develop a relationship with the subconscious (or non-conscious) mind. Quantum physicist, Amit Goswami provides several practices we can use to accomplish this connection. The first is intention-setting. As Dr. Goswami explains it in his book Quantum Creativity, the ego expresses the intention, but what actually happens depends on our alignment with the subconscious mind that is eternally linked to Quantum Consciousness. Therefore, the practice he recommends is a meditative one in which we expand beyond our limited self-interests to include the benefit to the greater whole. Wayne Dyer wrote of intent, not as something you do, but as something that already exists as an invisible field of energy within us. Asmit Goswami and other spiritual leaders describe our link to it as occurring through our subconscious mind. Stating intention is an important concept when speaking about purpose, vision and goals (“PV&G). In order to pursue our PV&G, we have to bring our ideas, desires and will into alignment to take action, however, often we are blocked and cannot sum the will to take action. How do we clear the block? The ego may still rear its head after we leave the meditative state. Until the conscious mind has become disciplined, excuses may proclaim the reasons why our intentions are improbably. The choices become difficult to differentiate. How do we deal with that? How do we get clear on our intention? Once again, a technique emerges out of the study of quantum physics. When making a decision, recognize that there is a period of time where the outcome of any choice is unknown. The outcome could go either way. In quantum physics circles, this is exemplified by Schrodinger’s Cat. In that example, as you look at a closed box, you are asked if the cat inside is dead or alive. You have no way of knowing in that moment until you take off the box top and then you can see the true answer. For Wayne Dyer, that translated into a guiding principle, that if a positive and negative outcome are possible in the lack of knowledge, then choose to act as if the positive will occur and stop worrying about the negative. But what happens when you have a decided desire for one outcome over another? It has long been held that we can influence the results just in the process of observing. And Lynn McTaggert has documented studies that seem to demonstrate that we can influence the results by focusing the power of intention upon a thing. One way we can do that is to act as if you are what you desire. By holding your thoughts there, you are influencing results that with what is possible, your desire is possible as well. Another method is to define why you want a particular outcome. What does it mean to you? What difference will it make? The discussion goes on and on. Intention is so much more connected to our energetic essence than we realize. Therefore, if you are lacking the will to act on your desires even though you feel passionately about them, pause and reconnect quietly to your inner self and listen. You don’t have to believe anything. You don’t have to subscribe to dogma that makes you uncomfortable. Just be still, center in the quiet and allow inspiration to emerge. When we are inspired, we shift into the appropriate action. Visualization is such an important part of moving our desires from wishing to becoming, and having a vision board is one very good way to move vision from inside your head to a format that you can see and touch. Recently, I received a comment about my own board. Marketing consultant Bill Ganz (author “Belonging Networks”) suggested that I turn it around to show what people experience when they pursue a dream. He wanted to see more than my activities on the board. He wanted to see my relationships and the value their personal journeys would provide them. creative thought process. The steps are simple. and quietly “sit for ideas” or go do something else. Let go. fueling a response with your desire and visualization of what might be. useable form that helps you execute them. of feelings in a very large, empty space. motion. Every step in any process should help us on the journey to move from where we are to where we want to be. Once the creative down flow began, it only took a few days to capture it as a revised vision board. The new display is much more inspirational for others as well as myself. I’m glad I took the time to play with new ideas that shifted my focus in such a positive way. Creative Visualization program is resurfacing in my consciousness and Mind Movies are knocking at the door. achieve joy and well-being in our lives. a dynamic, creative expression of your dreams.